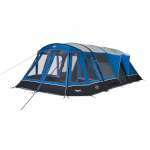 FREE CAMPING AND CARAVANNING CLUB MEMBERSHIP when you buy this Coleman FastPitch Air Valdes 6L Tent! Coleman first revealed their innovative FastPitch™ inflatable tents at the Outdoor Trade Show back in 2015 and due to their quick pitching times combined with Coleman's reputation for designing and manufacturing reliable and comfortable tents, these Air Valdes tents were an instant hit, and here at OutdoorGear, are very pleased to be stocking them! 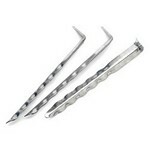 The inflatable poles are made from strong and durable TPU and are housed in PU sleeves. 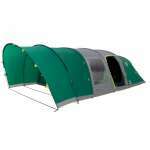 There is an easy to access valve that allows you to pump up your tent nice and quickly in just a few minutes. It can also be done by just one person, making it ideal for if you have a young family! The WeatherTec™ fabric on the outer of this tent offers an excellent level of protection from the rain by using specially designed and treated materials, taped seams, zipper guards and waterproof groundsheets with inverted seams and a rain porch. They also test all models for wind and rain resistance so you can be confident that your Coleman tent is well designed and built to offer you an excellent level of weather protection. 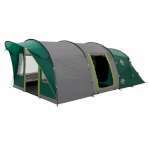 The actual layout of this tent has been designed to maximise living space and head height for a comfortable stay and this Valdes 6L offers excellent versatility thanks to the removable front inner tent that can be used either as an extra sleeping compartment for up to two people or for hiding away your gear and keeping your tent tidy, or you can take it out completely and have a larger living space! 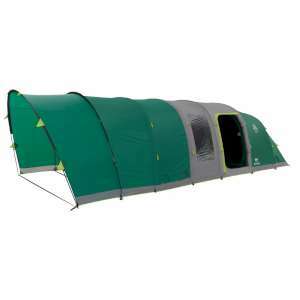 The large inner tent to the rear of this tent sleeps up to four people and it has Coleman's revolutionary BlackOut Bedrooms, which blocks up to 99% of daylight and keeps the area cooler during the day and warmer overnight. This new sleep system won Coleman the 2016 CAMPING MAGAZINE EDITOR'S CHOICE AWARDS in the BEST CAMPING INNOVATION category! 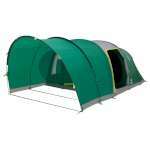 ...and now for 2019 you will get FREE CAMPING AND CARAVANNING CLUB MEMBERSHIP when you buy this Coleman FastPitch Air Valdes 6L Tent! Simply visit the Coleman.eu/uk website for full details get in touch with our sales team for further information! * valid until 31st December 2019.